What is meant by the term “gel phase”? 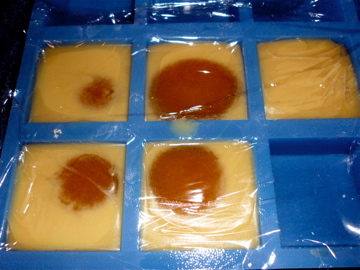 Gel phase simply refers to a part of the saponification process where the soap gets extremely warm and gelatinous. Soap that has not gel-phased is still soap. There is nothing wrong if your soap does not gel phase. You will find slight color and shine variations in gelled versus ungelled soap. 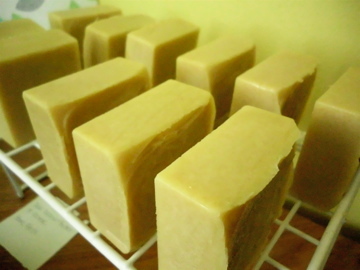 Some soapers prefer not to have their soap gel at all so do not insulate. Again, it is a personal preference. 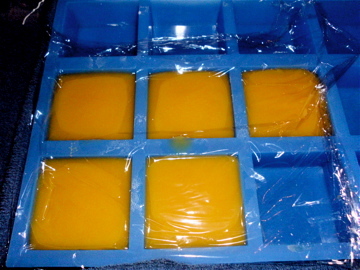 The next day: Soap out of the mold and curing for 6 weeks.